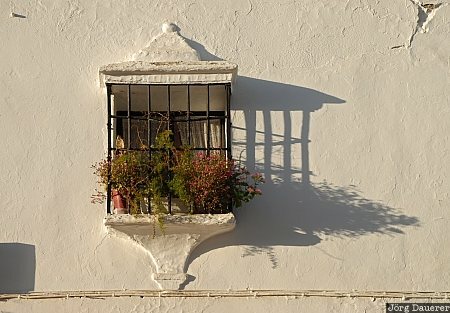 A typical window with flowers and its shadow on a white wall illuminated by soft early morning light in Ronda in the province of Malaga, Andalusia, Spain. This photo was taken in the morning of a sunny day in April of 2008. This photo was taken with a digital camera.